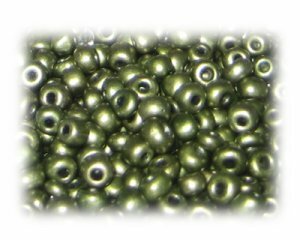 These are 6/0 Olive Metallic Glass Seed Beads, 1 oz. bag. I am never disapointed, with my order. everything was so pretty. Thanks again. Rose C. From Ohio. I’ve told several friends about this site, seriously, you just can’t go wrong.